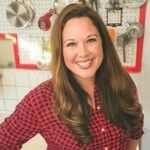 This is a sponsored blog post; while the views expressed here were genuinely mine, consideration was paid to me by L.L.Bean, who believe that, on the inside, we’re all outsiders. Each day we say “yes” to so many things yet, at the end of the day, when we think about how we are spending our time, are we saying “yes” to the people and activities that truly matter in our life? This is what happens when we say “yes” to the outdoors with our family. The time we spend outside together breathes new life into our family, it breeds curiosity and welcomes wonder. Being outside together brings new conversations about topics we’ve never shared. It is an opportunity to show and share our hobbies and talents with our children. These beautiful moments outdoors don’t need to be moments reserved for vacation, the weekend, or a special event planned months in advance. Sharing the outdoors with your children is something we can have every day, right at our fingertips; it is an open invitation for fun with our families. In this post, we will show you five ideas that will help you reconnect with your family in fun, spontaneous, and meaningful ways in the outdoors. This is likely the most controversial suggestion, so we will start with it because it is key to finding weeknight time outdoors with your family. You have to cut back on your commitments. If you jam your schedule full of baseball, hockey, camps, soccer, and t-ball, where does outdoor quality time fit in with your kids? It doesn’t, I know this truth from experience. Quality time isn’t organizing all the equipment, eating a meal in the car or making siblings sit along sidelines. Sports and activities are important and teach our kids values of sportsmanship and teamwork, but one night a week for a child in an organized activity is plenty. Depending on how many kids you have also adds the level of commitments. If you can allow your family 2-3 open weeknights (no structured activities) there is so much more time available for spontaneous weeknight time outside. Beaches tend to be less busy on the weeknights but don’t just sit and observe. Digging in the sand or taking a swim together is a great way to interact with your child. I love swimming together because there are no distractions, especially the phone. I feel like a kid again in the water, jumping off a dock or playing a silly swimming game. The lake has become our family place, it’s where we feel like we belong, where we connect most with nature and our family. Make it a surprise or a planned activity, but hold a “Yes Outdoors Night,” where whatever the kids ask to do outside you do. Set your own family’s parameters (cost, distance from the house, etc.). 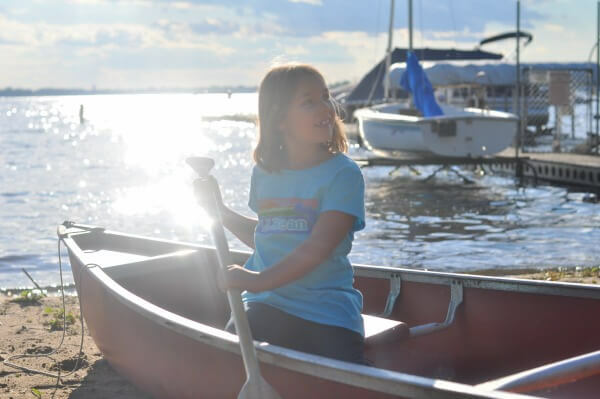 Our recent “Yes Outdoors Night” was a weeknight canoe ride. Admittedly, I needed convincing to do a bigger outdoor activity on a weeknight, but I was easily converted that not only was it doable but something we must do more often. That’s where the kids having a “Yes Outdoors Night” comes in, by allowing them the opportunity to suggest activities, they feel empowered to make a fun decision and as adults it allows us to be open to nontraditional activities that may inspire a new tradition or family hobby. Sharing your favorite outdoor hobby together can be a great way to enjoy the outdoors as a family. Whether it is biking, fishing or gardening, sharing your hobby gives you a chance to share your expertise with your family and enjoy something outside you love. We are participating in a community garden and it has been a great way for me to share my love of being outside in the garden and teach my kids and even my husband, about gardening. The kids loved pulling weeds and helped get some new plants in the ground. My son said to me during the gardening, “You’re not having fun if you’re not dirty!” My husband looked over at me and we didn’t have to say a thing because we knew this experience was afforded to us because we chose not to overwhelm our schedule and our dirty time in the garden is now tucked in my heart as a fun memory. While a night walk or bike ride in the neighborhood is a great way to get outside, a fun way to make it a new experience each time is to make it into a scavenger hunt. Before we leave the house I’ll take a piece of paper and make a grid with things we might see when we are outside. You can include insects, plants, or animals and the kids have fun checking off the boxes as we are walking. L.L.Bean shared several clothing items and accessories with our family to try out during our family outdoor time. I loved that the clothes and boots were true to size, the kids opened the boxes and were able to put the clothes on right away and enjoy them. As a mom, I loved that I could select the sizes I needed and they had a great fit. The kids commented about how soft and comfortable the clothes felt which is super important to me. I want the clothes to be functional for being outside and be comfortable. We know that our kids grow so fast and I love that L.L.Bean has this in mind when designing their jeans. Not only is the fabric high-quality and durable, they have built in an adjustable waist with grow-with-your-child buttons and pant legs that can be rolled up or down with an adorable red banding. 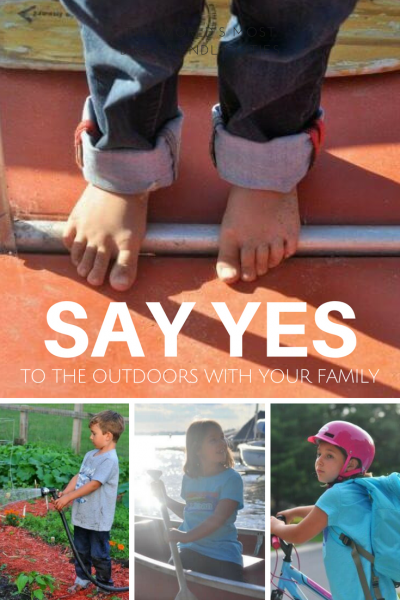 The most important aspect to me is that the products are functional and they let my kids be kids in the outdoors, whether it is stomping around in L.L.Bean Boots in the garden or running in their jeans. For more information about the L.L.Bean Jeans and L.L.Bean Boots shown in this post, check out the L.L.Bean web page. This is a sponsored blog; while the views expressed here were genuinely mine, consideration was paid to me by L.L.Bean to share this post.